Used to cut porcelain, pavers, quarry, glass mosaic and certain types of marble and granite. The change from scoring to breaking position is achieved by a small vertical movement of the hand-grip. Broad tile support table, with the advantage of measurement is conveniently close to the operator. 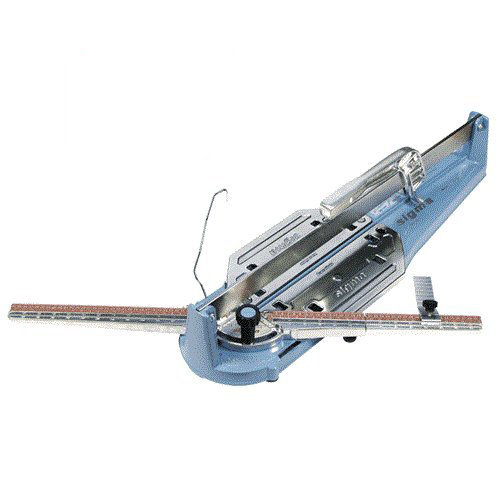 Double registration provides regulation for cutting thickness. 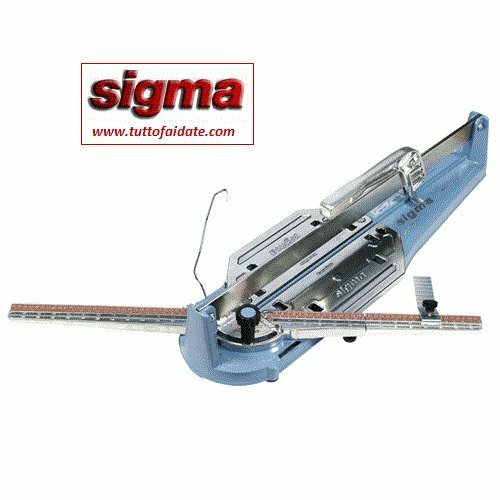 The swiveling measurement bar supporting the tile rotates through 45° in both directions and is pivoted at the center of the cutting line, allowing cutting the real measurement of the piece. The second measurement scale gives the length of the diagonal. Rapid positioning button makes the main angles immediately available at http://www.casinonorske.com/. Length of Cut - 26 in. Diagonal Cut - 18 in. Weight - 18 lbs. 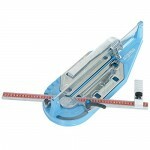 Swiveling measurement bar in inches for diagonal cuts. Cuts material between 1/16" and 3/4" inch thick.